15 Mar Depression- How a Healthy Gut and Immune System Could Help. + Nutritionist’s Tips. According to the Mental Health Foundation, it is estimated that 1 in 6 people in the past week experienced a common mental health problem. In 2014, 19.7% of people in the UK aged 16 and over showed symptoms of anxiety or depression. The aetiology of depression is not fully understood and there are no specific biomarkers to diagnose it. Depression is defined by a list of symptoms, such as low mood, fatigue, loss of interest in pleasurable activities, sleep disturbances and loss of appetite. This list can vary based on the individual experience and the severity of the case. The cause of depression has typically been associated with a deficiency in neurotransmitters, specifically serotonin. Hence, treatments were focused on administering medications to increase neurotransmitter levels. However, evidence is mounting that there is a deeper causality which affects the production of neurotransmitters and the function of the central nervous system. The culprit is inflammation. Research has found that patients suffering with depression have increased inflammatory markers such as CRP. Depression has also been associated with the administering of cytokine immune cell stimuli for treatment, such as for cancer and hepatitis C. Finally, individuals suffering with chronic inflammatory conditions like cardiovascular disease, diabetes, and autoimmune conditions, have a high occurrence of depression. 1) Support your immune system through diet and supplementation. Bee Prepared Immune Forumlas are all-natural supplements that contains plant and naturally sourced extracts that modulate the immune system like bee propolis, olive leaf and beta glucans. Bee Prepared’s ingredients also have proven anti-inflammatory actions. Propolis has also been shown to aid gut health. Taking a probiotic is also helpful as research shows that poor gut health can be a factor in depression. Probiotics also help support the immune system. More here on gut brain connection. 2) Eat anti-inflammatory diet to reduce exposure to toxins and aid the body’s self-regulating mechanisms. Reduce sugar, alcohol, processed foods, and take aways in your diet. Increase essential fatty acids by eating fresh oily fish like wild salmon, mackerel, haddock, eating raw nuts and seeds, and cooking with coconut oil as an alternative to butter or margarine. Increase green vegetables and fruits. 3) Exercise – A sedentary lifestyle contributes to inflammation and is associated with inflammatory diseases such as cardiovascular disease and diabetes. Exercise is also essential for weight management. Removing electronics such as mobile phones and computers form your bed. 5) Find ways to manage stress. Stress in modern day life seems unavoidable but we can all implement ways to manage it better but exercising, meditating, changing perspective, or seeking counseling. These are ways to help to reduce inflammation, support immunity and to potentially reduce the risk and presentation of depression. More info on probiotics for gut health in this article by health blogger Petra Kravos, click here. Almond, M., 2013. 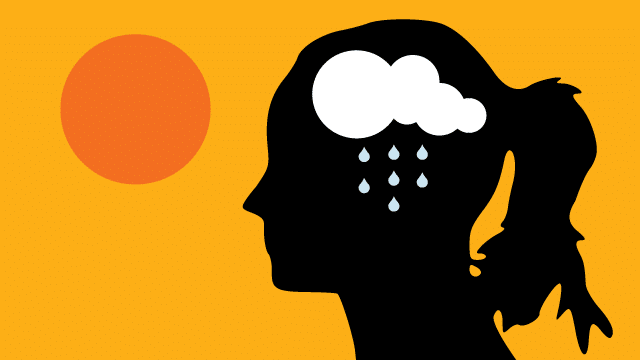 Depression and inflammation: Examining the link. Current Psychology. 12(6):pp 24.-32. Berk, M., et al., 2013. So depression is an inflammatory disease, but where does the inflammation cme from? BMC Medicine [online] Available at: http://www.biomedcentral.com/1741-7015/11/200 [Accessed 18 January 2014]. Dantzer, R., et al., 2011. Inflammation- Associated Depression: From Serotonin to Kynurenine. 36(3): pp 426-436. Mental Health Foundation, 2001. Mental Health Statistics: The Most Common Mental Health Problems. [online] Available at: http://www.mentalhealth.org.uk/help-information/mental-health-statistics/common-mental-health-problems/?view=Standard [Accessed 18 January 2014]. Shelton, RC and Miller, AH., 2011. Inflammation in depression: is adiposity a cause? Dialogues in Clinical Neuroscience. 13(1) Abstract only. Available through: Pubmed.gov http://www.ncbi.nlm.nih.gov/pubmed/21485745 [accessed 18 January 2014].